The incident occurred as the Minister came down after addressing a meeting when the youth suddenly lunged at him, pushed and slapped him on the face, according to eyewitnesses. THANE: A youth pushed and allegedly assaulted Union Minister of State Ramdas Athawale after a function in Ambernath town, late on Saturday night, officials said. 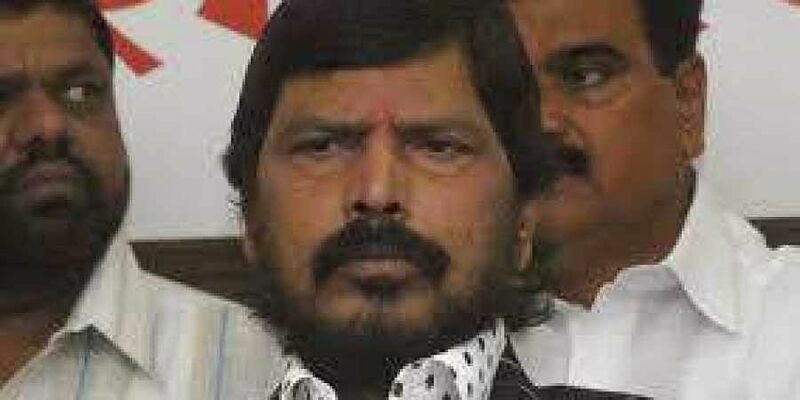 Even as some supporters rushed to the Minister's aid, pushed away the attacker and roughed him up, Athawale's personal bodyguards and police security pinned him down and whisked off from the venue. Though the motive behind the attack is not known, the youth is said to be an activist of Republican Party of India, headed by Athawale, and which is a constituent of the ruling NDA. Though appearing a bit shaken by the incident, the Minister departed for Mumbai shortly thereafter, while the youth was detained by police for investigations.